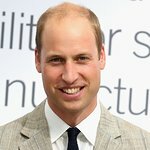 Prince William has posed for a series of candid photographs for a new exhibition and fundraising auction for the homeless organization Crisis. The second-in-line to the throne’s pictures are also featured across 14 pages in the latest edition of Hello! magazine, which documents celebrity news and gossip. The photographs, taken under the guidance of renowned photographer Rankin, were snapped by amateur photographer, Jeff Hubbard, who was homeless as recently as a few years ago but has since turned his life around thanks to help from Crisis. He said he found himself homeless after his business and marriage failed and he increasingly turned to drugs. Now, the Hackney resident does voluntary work after receiving training help from Crisis. The images, which mark the first time that a royal portrait has been taken by a non-professional, include one with the Prince shown with his hands in the pockets of his jeans, smirking at the camera, and in another depicted in close-up staring into the lens with his arms folded in front of his chest. Exclusive video footage of the shoot, in which Wills can be seen laughing and joking with Rankin and Jeff, can be viewed on Hellomagazine.com from this Friday.